A recent letter by the Israeli peace and justice group "Boycott From Within" (BfW) implores legendary singer-songwriter Bob Dylan to heed the Palestinian call for BDS and therefore not perform in Israel. The letter follows reports of Dylan's 2011 summer tour, during which he will perform at Ramat Gan Stadium on June 20th. The BfW letter hits all the right notes and speaks truth. It asks Dylan "not to perform in Israel until it respects Palestinian human rights," explaining that "a performance in Israel, today, is a vote of support for its policies of oppression." The letter speaks of ethnic cleansing, land theft, martial law, air strikes, and massacres. It beseeches the folk legend, who has "been part of a civil rights movement," to stand with the oppressed against the aggressor. BfW writes that "BDS is a powerful and united civil initiative in the face of a brutal military occupation and apartheid. It's a nonviolent alternative to a waning armed struggle and it has reaped many successes and instilled much hope, in the past six years." A Ha'aretz article proudly notes that the Dylan concert will be held "where Leonard Cohen and Elton John recently performed," and is being promoted by "Marcel Avraham, the promoter who organized the Leonard Cohen and Elton John concerts - as well as the upcoming Justin Bieber concert that will be held over Passover." So, will Bob Dylan - the man who wrote "Masters of War" and "The Times They Are A-Changin'" in 1963 - heed the call? Of course not. Although Dylan would appear to be the perfect political ally, his human and civil rights bona fides have faded over time - to the point of non-existence. Dylan denied giving money to Israel or to the fanatical Jewish Defense League, but he confesses great admiration for that "Never again" action group and its reckless leader Rabbi Meir Kahane. "He's a really sincere guy," says Bob. "He's really put it all together." Yes, you read that right. Bob Dylan said Meir Kahane, who favored the forced expulsion of Palestinians from their homeland and whose racist Kach party has since been banned from Israeli politics, is "a really sincere guy" who's "really put it all together." Over the past couple decades, Dylan has become a supporter of the Chabad Lubavitch movement, which holds a firm Eretz Israel line regarding the ongoing occupation of the West Bank. 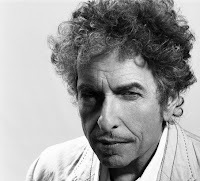 In 1983, twenty years after he sang, "you don’t count the dead" and "you never ask questions, when God’s on your side," Dylan penned a song in response to the international outrage over the devastating Israeli assault on Lebanon in 1982, which took the lives of nearly 18,000 Lebanese civilians and wounded about 30,000 others. The song did not mention the Sabra and Shatila Massacre, in which between 800 and 2,000 Palestinian and Lebanese civilians were murdered. The Israeli Kahan Commission, published in February 1983, found that Israel bore "indirect responsibility" and Defense Minister Ariel Sharon "bears personal responsibility" for the massacre. Rather, Dylan's song, entitled "Neighborhood Bully" and featured on his Infidels album (which incidentally also contains the songs "Man of Peace" and "License to Kill"), is a bitter and indignant defense of Israel's actions, an exercise in Zionist mythology, eternal victimization, and bogus "right to self-defense" hasbara, that sounds like it was written collectively by Alan Dershowitz, Abe Foxman, Benjamin Netanyahu, Anthony Weiner, and Golda Meir. Dylan sings of a nameless (though obvious) "neighborhood bully," labeled such by "his enemies" who "say he's on their land" and have him "outnumbered about a million to one" with "no place to escape to, no place to run." And that's just the first verse. The hasbara escalates as the song continues. Dylan sings of exile ("The neighborhood bully been driven out of every land") and bigotry ("He’s always on trial for just being born"), of lonely survival and attempts at delegitization ("He’s criticized and condemned for being alive"), of the Osirak bombing, of deserts blooming. The only way to believe how thick the Zionist talking points are laid on is to listen to the whole song, or read the complete lyrics (here). Unfortunately for the BDS community and the courageous activists of BfW, Bob Dylan will not be an ally in the fight for justice or international law. He made his choice decades ago. It is Dylan who can apparently no longer see "where the people are many and their hands are all empty, where the pellets of poison are flooding their waters, where the home in the valley meets the damp dirty prison, where the executioner’s face is always well hidden, where hunger is ugly, where souls are forgotten, where black is the color, where none is the number." And, although Dylan once claimed that he'd "tell it and think it and speak it and breathe it, and reflect it from the mountain so all souls can see it," he has decided to stand with those who aggress and oppress, with those who starve and deprive, with those who surround and fly-over and bomb hospitals and deny, with those who steal land and resources, with those who reinvent and erase history, with those who criminalize memory and prioritize ethnicity and religion. He stands with those who erect walls and watchtowers. He seems not to care that he has been talking falsely for some time now and that the hour has never been more late. Dylan seems to have become tangled up in tribalism. By ignoring the call to boycott and by performing in Israel this summer, Dylan is solidifying his reputation as one who - when it counted most - didn't stand for morality and humanity. Dylan once asked, "how many years can some people exist, before they’re allowed to be free?" It seems that Dylan's own answer to the Palestinians would be, "A while longer and don't ask me to help." He has become his own rhetorical character: the man who turns his head, pretending he just doesn't see. So, the questions remain. "How many ears must one man have, before he can hear people cry? How many deaths will it take 'til he knows that too many people have died?" The answers are no longer simply blowing in the wind, however. They are in discourse and education, flash mobs and rallies, sit-ins and walk-outs. The answers are international law and humanitarian justice. The answer is promoting basic morality and common decency. The answer is raising public awareness. The answer is opposing settler-colonialism, military aggression, collective punishment, air strikes and assassinations, drone attacks and white phosphorous, tear gas and torture, ethnic cleansing, diplomatic immunity, war crime impunity, ethnocentrism and supremacism, racism and discrimination, apartheid and occupation. The answer is BDS. And, as Bob Dylan told us himself, the times they are a-changing'. Sadly, this time around, however, it seems Dylan does need a weatherman to know which way the wind is blowing. This article originally appeared on Mondoweiss under the headline "No Surprise Dylan is Visiting the Neighborhood Bully." Thanks for reading, Anonymous, but I must confess, I really don't know what you're talking about. So you feel because Dylan, 40 years ago, expressed respect for Kahane that to atone for it, he must embrace the genocidal Hamas movement? Rather, it seems that Dylan knows that Israel is not perfect and never will be and that the people who support Hamas are sick and deserve no support. I'm unclear as to how you have drawn your conclusion that I want Bob Dylan to "atone" for anything by supporting Hamas. I don't mention Hamas even once in this piece. Are you suggesting that supporting BDS is analogous with supporting Hamas? If this is the case, you should do some research about what the BDS movement is all about before making such weird claims. Those who support Hamas are also supporting BDS, for obvious reasons. Nothing weird about it unless you are stating that Pro-Palestinians are incapable of logic.